François Leulier’s research goals are twofold : first, using Drosophila melanogaster and one of its dominant commensal bacterial partner, Lactobacillus plantarum, he aims at deciphering the molecular dialogue governing the mutualistic interaction between intestinal bacteria and their host, especially in the context of juvenile growth, and second, he aims at translating this knowledge to mammalian models in order to consider applied solution to modulate microbiota-related disease traits. 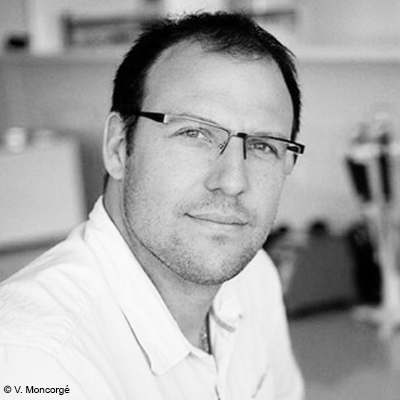 The approaches in François Leulier’s lab follow two main axis: first, they aim to decipher the molecular dialogue governing the mutualistic interaction between intestinal bacteria and their host in the context of juvenile growth, and second, they aim at translating this knowledge to mammalian models in order envisage applied solution to modulate microbiota-related disease traits. To this end, they primarily use an animal model, Drosophila melanogaster and one of its natural commensals, Lactobacillus plantarum. They develop a multiscale functional approach to study the molecular mechanisms underlying their mutualistic association. This integrated approach couples a host and a bacteria centred-view of this beneficial interaction to identify the bacterial and host genetic networks required to sustain their mutualistic relationship. 1.1/ Reveal the molecular nature of the dialogue between host and commensal bacteria that allows colonization of the host intestine by Lactobacillus plantarum. 1.2/ Study the functional impact of Lactobacillus plantarum on its host biology, at the intestinal and whole organismal level. 1.3/ Identify the bacterial and host molecular mechanisms underlying L.plantarum mediated physiological benefits. 2.1/ Metabolic, endocrine and immunological phenotyping of Lactobacillus plantarum monoxenic individuals upon nutritional challenge during juvenile growth. 2.2/ Phenotyping of polyxenic animals (hosting a controlled microbiota or the reference Altered Schaedler Flora). This project provides fresh and unbiased insight into the fundamental biological question of host/microbe mutualism. In addition, using a model lactic acid bacteria species and an animal host model with evolutionary conserved molecular and physiological features, their approach is relevant to most lactobacilli/host interactions including those occurring in humans. 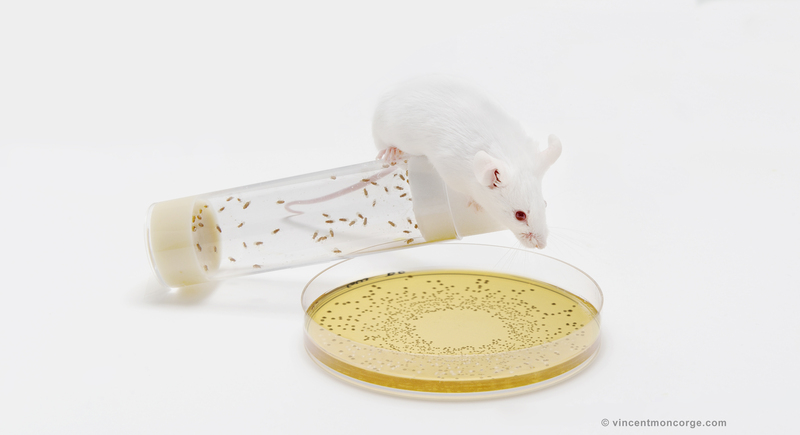 Therefore, they translate the knowledge gained using this invertebrate model to mammalian models to advance the proof-of-concept that interventions using Lactobacilli probiotics might profit human health.